At the height of their fame, the couple must deal with being part of the in-crowd. But they never feel comfortable at the glitzy parties of Europe's other cultural icons. 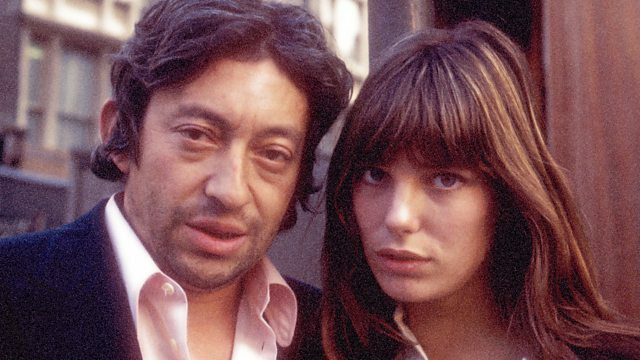 Gainsbourg and Birkin were arguably France’s most iconic couple - synonyms for love, glamour, eroticism, poetry and provocation. They met in 1968. She, an English aristocrat just arrived in Paris from Swinging London. He, the son of Russian immigrants, already the author of Le Poinçonneur des Lilas and La Javanaise and emotionally wrecked by his breakup with Brigitte Bardot. Their love story set Paris aflame as the sixties ebbed, and set in motion many of the ideas we have by now come to think of as specifically French. Skipping back and forth in time, Je T’Aime takes the listener from the foggy Normandy landscapes where Serge and Jane retreated, to their carefree summers on the coast. En route to superstardom in films and music, we experience their intrigues, triangular relationships and jealous rages, the genius and the self-torture. Le Monde Journalist and acclaimed author Véronique Mortaigne has talked to the pair’s friends, family and colleagues to cast new light on these two massive personalities, who together created a model of the rebel couple for the ages. Véronique Mortaigne has been head of music and arts at Le Monde and is the author of a dozen books, including biographies of Cesaria Evora, Manu Chao, and Johnny Halliday.